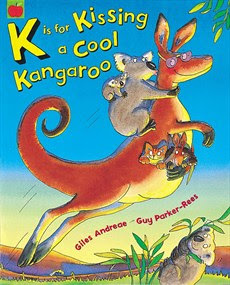 K is for kissing a cool Kangaroo is an interesting book to learn ABC and words beginning with different alphabets. 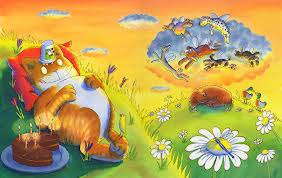 The illustration is beautiful and interesting. Each page is dedicated to introduce an alphabet and a little reader can find a lot of different subjects with words beginning with the corresponding letter. I always find a new subject every time I read it again.